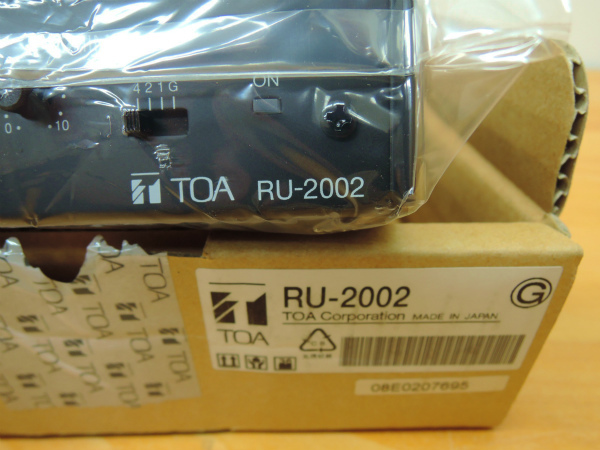 The RU-2002 is a microphone amplifier for the PM-660D Paging Microphone with a remote control switch and a 5-pin DIN socket. The power of the PM-660D's internal power amplifiers, and grobal speaker output can be remotely controlled from the RU-2002. The RU-2002 has an internal chime unit.